Oil rigs might be one of the most striking representations of the environmental damage our fossil fuel mad world wreaks. Still, according to new research from Aarhus University, oil rigs might have a valuable roll to play in the future. 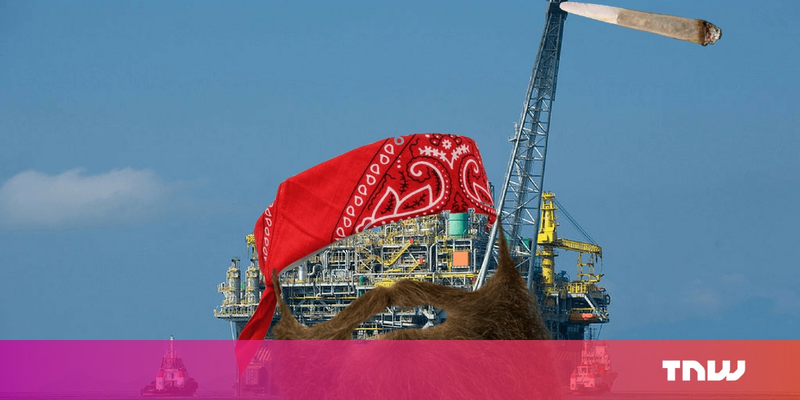 Published in Frontiers in Ecology and the Environment, researchers are urging governments to reconsider a law in which sea installations – such as oil rigs and wind turbines – have to be removed at the end of their lifespan, which can last for 20 or 30 years. The reason for this is that all the infrastructure needed to anchor the structures to the sea floor eventually becomes beneficial to plant and fish life. The paper goes onto say that the law should be changed so that authorities can consider on a case-by-case basis whether an old facility should be removed. A completely harmless, broken piece of metal becomes a fun house for a fish – yay! On the surface, this seems sensible, but a little bit of digging raises some interesting questions. The paper itself mentions that the 7,500 oil and gas platforms, and the up to 20,000 wind turbines in the ocean would cost up to €100bn ($118bn) to remove. Not a small amount. After looking into the research paper, it was co-authored by North Sea Futures, a non-for-profit that works to bridge the divide between offshore structures and environmental concerns. In 2017 though, North Sea Futures was funded by a grant from the Velux Foundations. This is the charity arm of VKR Holding, which owns Velux, a Danish manufacturer of windows. Unsurprisingly, one of the most important ingredients in the production of glass is oil. Now, I’m not saying that VKR group – which had revenues of 18.1bn DKK (almost $3bn) in 2017 – is pulling some sort of evil scam. More that it could benefit from oil companies not paying over a hundred billion dollars to remove offshore structures. Oh, and Aarhus University also has close ties to the oil and gas industry. Weird. The science and logic behind leaving offshore structures does makes sense. This is especially true if they’re contributing to an environment they played a part in destroying. But, we must be careful when relaxing environmental regulations and ensure that any decision in this vein is made off the back with unbiased, balanced research. Rather than, you know, from research that stinks of oil money.